PODS Products produce innovative pop up sensory spaces for children with hearing disabilities, learning difficulties and sensory needs such as autism across the spectrum. This is something that I just came across recently and thought I’d share since they look so inviting and cool, and I know that some of you are looking for sensory solutions for in the home. 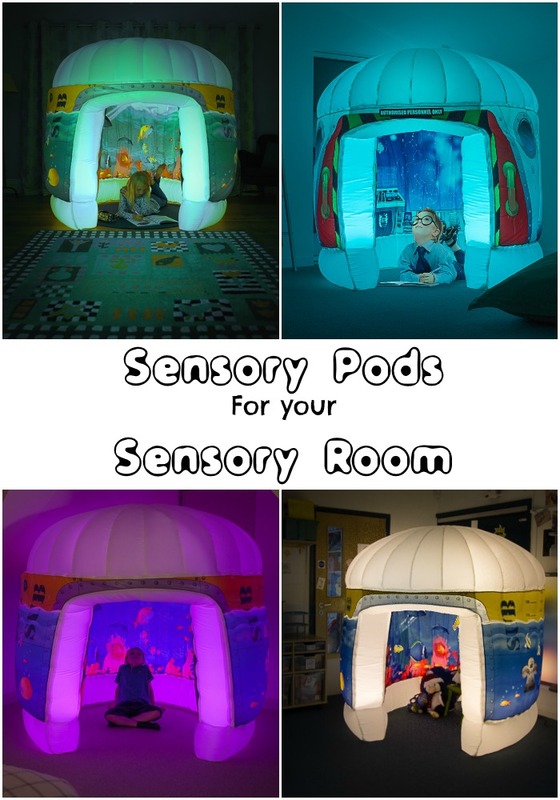 These pods would work in a sensory area at home, or in a school sensory room environment. In the Pod, with interchangeable 360° interior and exterior graphics, children’s experiences can change in a matter of minutes. 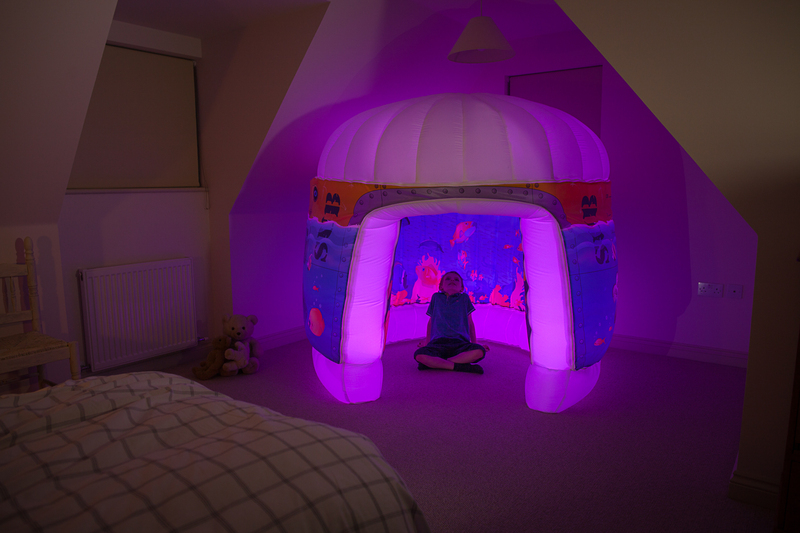 PODS transforms in low levels of light as integral colour changing lights glow and create a cool ambient atmosphere where children can go to hideaway and relax. Fully adjustable, the LED lights can be altered to change colour, brightness, light changing speed and can be switched off completely by the use of a remote control. 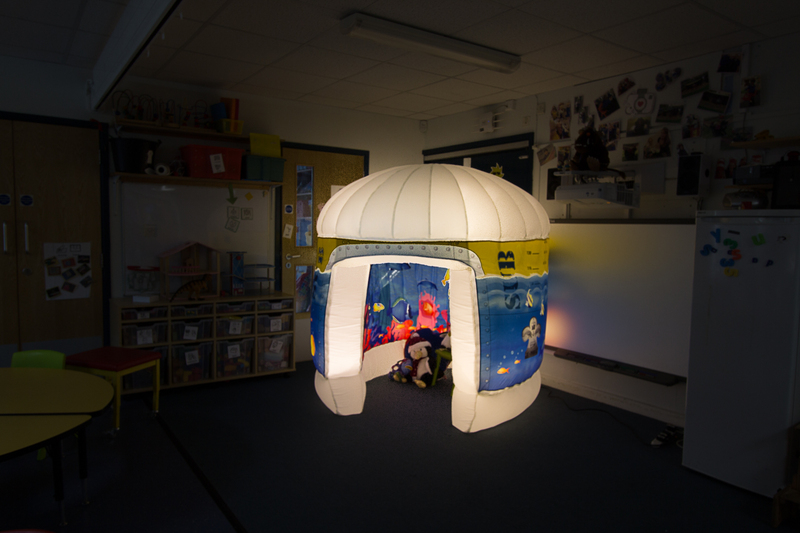 In low levels of ambient light PODS turns into a mesmerising and engaging personal environment that can be relaxing for all children. These sensory PODS set the scene in a perfect environment for relaxation where kids can immerse themselves in an experience as if they were there. PODS themes include ‘The Galactic Space Adventure’ and ‘Sub Aqua Quest’. Children can “Climb aboard” the PODS Interstellar 14 spacecraft for an outer world experience or “Take a dive” to the depths of the ocean floor respectively. 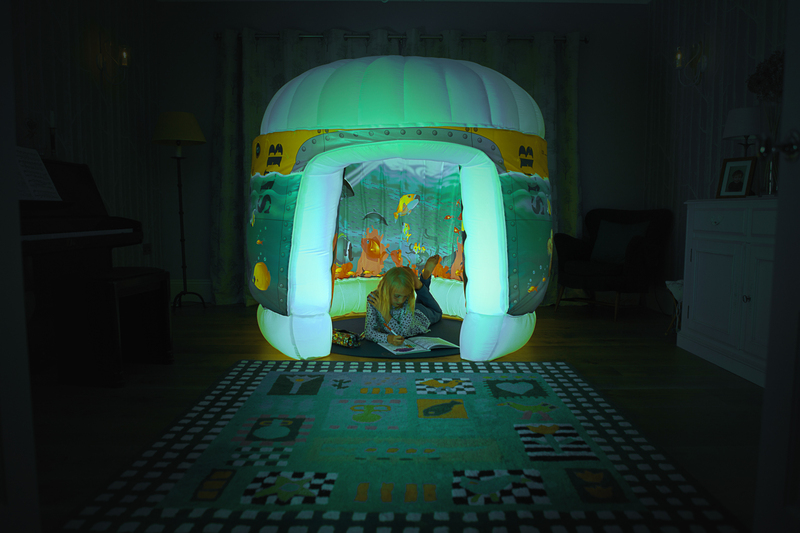 These almost hypnotic, revolutionary and highly innovative inflatable PODS are a sight to behold not only for children, many parents tell us that they too would like one for themselves. 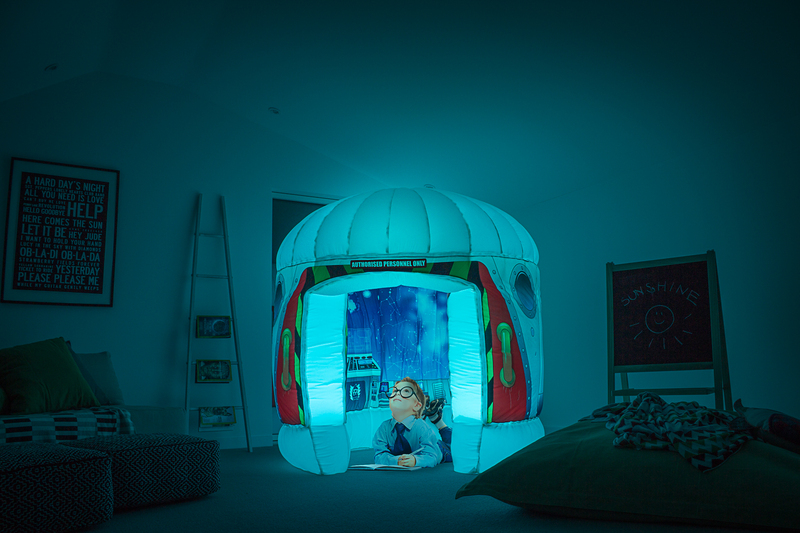 Suitable for both girls and boys, PODS is an experiential product that will keep children safe and calm for hours, leaving parents time for themselves whilst their little adventurers relax in the visual surroundings. In addition, the door access has been designed to create enough clearance for a child’s wheelchair with sufficient space inside to turn around. PODS takes less than a minute to set up, and a few minutes to pack away. Simply unpack PODS from the bag or backpack, plug in the power supplies and let PODS inflate. As PODS is made of 90% air, packing away is simple once deflated. The removable graphics can also be wiped clean to maintain cleanliness and product aesthetics. PODS has a battery safety alarm fitted to warn children and their parents if a power cut should occur, ensuring children are left safe and free to relax. The information and images are shared from a PODS play press release. The Pods are available to buy for around 599 each. Find out more about Pods Play on their website. If you have tried these with your own child, leave us a comment and share your thoughts and experiences! Too costly for us, but these look amazing! These look awesome! I have an autistic 6 year old nephew and I just bought him a sensory disco ball. Couldn’t afford these though.